Eazipay Direct Debit Bureau: What can we expect and what do we already know about the Budget? What can we expect and what do we already know about the Budget? So, where will Mr. Hammond splash his extra cash? 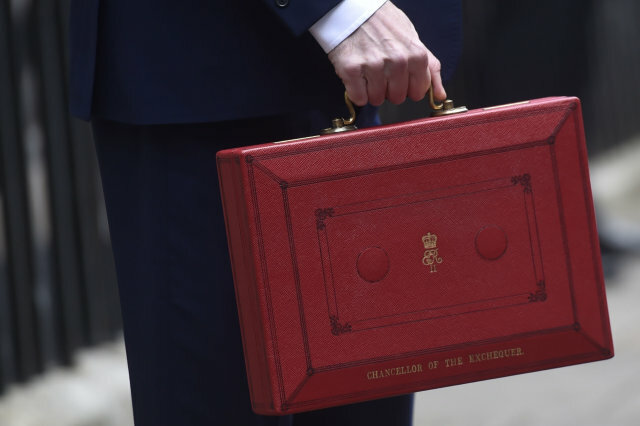 There has been some suggestion that there could be some relief for those hit the hardest by the business rate rise. The obvious place is the NHS and social care, which needs more than a bit of help. He will probably put some of it in the bank as a backstop though, with some very big unknowns on the horizon. It seems the case these days that we get little bits of info in the lead up to the budget. So far, we have heard that there will be £500 million for skills-based training in young people. We are heading for a big shake up in the post 16 education field - and about time too. We already know that the ISA limit is set to be raised again, up to £20 000 in the next tax year. That was part of a timetable set by George Osborne. There is also an expectation that we will hear more about the Guaranteed Growth Bond. There was an announcement about a £20 million D-Day memorial on Normandy Beaches, which will come from the fines paid by the banks - a nice use of the money. The income tax threshold is due to rise to £11500 in April, and the higher rate to £45 000, but we will more than likely hear about further rises, to reach the target of £12500 and £50 000. There have been a lot of other bits and bods in the news on possible changes being introduced. One of which is National Insurance for self-employed people, currently at 9% going up to 12%. Cigarettes will once again be in the firing line, the rumour is that there will be a minimum price per packet of £8.68. There is also a possibility that pensions tax relief may see some action. We would like to see more help given to SMEs. The government talks a good game, but it never quite delivers. The late payment issue only increases, and costs are going up and up, putting more pressure on the backbone of our economy.